These disc brake upgrade kits are supplied with the top quality new parts you will need to convert your 1986 and later T25/T3 to 316mm vented front discs. To fit this kit to the 1980-1985 model year you will need to change the stub axle to the later style (floating calliper type), and use 17" wheels or larger. 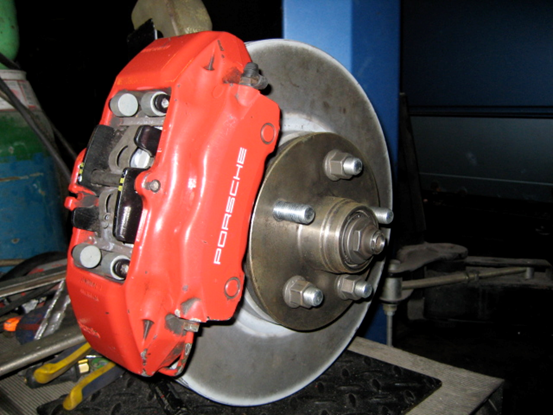 These kits are designed to be used with Porsche 996 Brembo front brake callipers (Porsche part number. 996 351 425 and 996 351 426), which are not included. We can supply these callipers if necessary: For New Porsche 996 front callipers add £800 or used Porsche 996 front callipers add £400 (subject to availability). You may also of course supply your own callipers to reduce costs. All parts in stock and ready for shipping (post and packaging £30).